In Episode 133, we want to pack your lunchbox full of love this Valentine’s Day. Valentine’s Day falls on a Tuesday this year (how un-romantic) so we want to spice up that packed lunch. These delicious cookies were featured in The Party Issue of The 4 Blades Magazine and they have been tried, tested and adored many times. So cute to cut into heart’s and add them to a lunchbox. 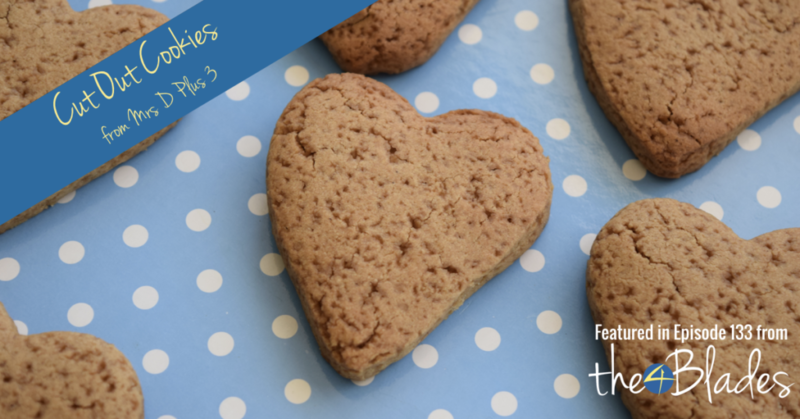 We wanted to test the friendship with this recipe by making them grain free cookies. To do this, Bec has found a bit of a magic formula for a besan / tapioca blend. The magic ratio works out to be around 56-58% (besan) to 42-44% (tapioca) + a pinch of xanthan. We wanted to make these ‘chocolate’ hearts so we added cacao – only 1 Tbsp though. We really needed more to make a difference to the colour. You could use drinking chocolate powder too. Roll it out so that it is approx 1 cm thick, get out your cookie cutters and let your kids have fun cutting shapes. And then if you want you can add some icing! Wouldn’t these just make the most gorgeous Valentine’s Day lunch box treat? As the base recipe we used Peta’s very popular Fluffy Vanilla Pikelets. We wanted to play around with the colour and the taste, so used this recipe as we know it works well. Firstly, we made them grain free using the magical formula above. Then to play around with the flavours, we used a frozen banana (you could also use overripe) and 100g of frozen raspberries to make them pink. 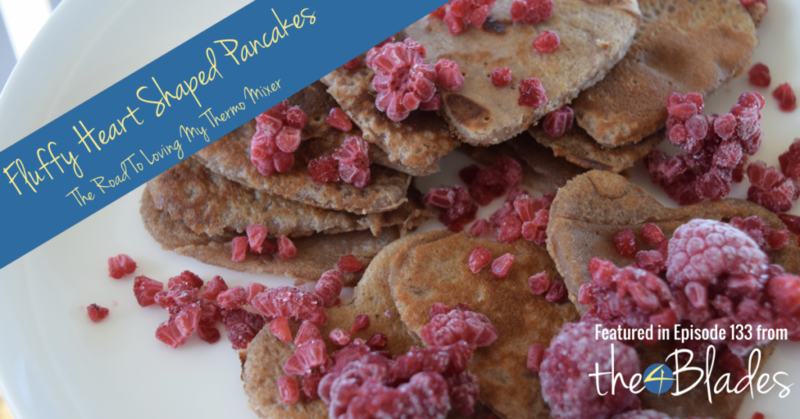 Now, spoiler alert – the batter was pink… but the pancakes didn’t really turn out pink when cooked. They were still delicious though. Speed 10 / 20 seconds. Scrape down sides. Speed 10 / 10 seconds. I made BIG pancakes on a medium fry pan (oiled with butter) so that I could use a cookie cutter or scissors to cut out hearts. You know when you see something cool and want to give it a shot? I wouldn’t say we #NailedIt… but not too bad either! These make a great addition to your Valentine’s Day lunch box. Boil 14 minutes / Steaming Temp / Speed 2, measuring cap on. Check out Episode 36 of the podcast for a 3 course Valentine’s Day Dinner for Two! Check out Episode 94 of the podcast for some yummy Valentine’s Day cakes! 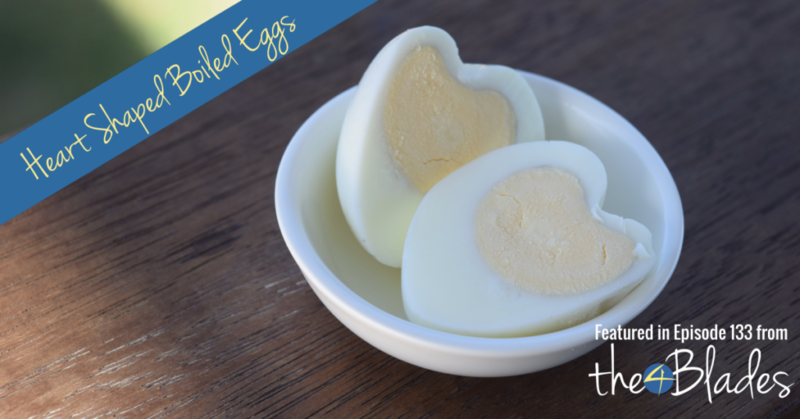 What cute Valentine’s Day lunch box treats have you made? Leave us a note in the comments below!